Came to the house, noticed half the plaster boards are gone but there are no walls. I kept trying to find where the plaster boards have gone, took me a few minutes to realise that the ceiling has been done. 2 days later all the plaster has been put up. The brick piers in the alfresco have been finished as well, cornice delivered. A lot of work has been done in one week. The bath frame has been put in but it's not the correct size. The opening for the bath is 145 cm in length and we paid for a 170 cm long bath so someone will have to fix that otherwise the spa bath won't fit and I don't want a smaller bath. The bricks are coming up nicely as well, we are pretty happy wight he colour of the brick and the off white mortar. Insulation has also been put up and plaster sheets have been delivered. Everything is coming along pretty fast. All the roof tiles are done. Heating pipes have been installed and the bricks are starting to pile up as well. Waterproofing of the shower bases has been done as well as most of the electricity. We found a few issues that are not according to the contract (power outlet height) but hubby will deal with that. We have to run our own cabling for the security system before they start plastering. Had an independent inspector check out the frame stage and he didn't have much to complain about but then we realised that the height of the master bedroom door opening is not right. 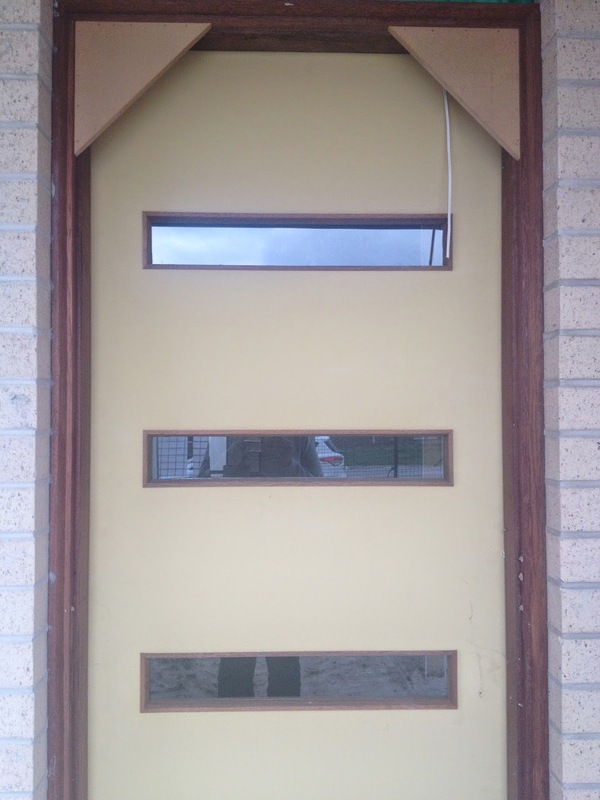 We paid for extra high doors and the opening is for a normal door. How did the inspector manage to miss that? Everything is ready to get the roof tiles on, there are more than a few pallets of it. Don't think the house is THAT big! Water pipes have also been installed however we are missing a drain pipe in the kitchen. We will have to chase that up with the SS. The frame is coming up pretty quickly, even the windows have been delivered. Yay! Frame is up, even the roof. Windows have been installed all around the house as well. Not much to say here... Everything for the frame has been delivered.